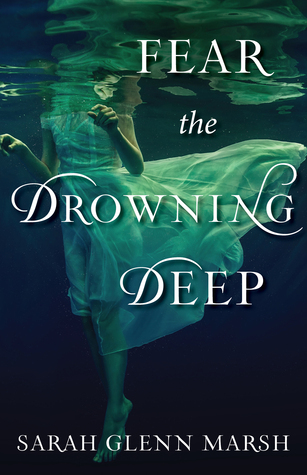 Fear the Drowning Deep centers around Bridey, a girl who has harbored a deep hatred of the sea since she saw her grandfather leap to his death and drown as a child. When a dead girl washes up with the tide, and villagers start to go missing, Bridey suspects that whatever fantastical being lured her grandfather to his death has returned to wreak havoc on their town. Together with the aid of the only two people who believe her – the island witch, who she is apprenticed to, and the boy she rescues from drowning, who steals her heart – Bridey must face her fear of the ocean and uncover the truth about its depths to stop further tragedies from happening once and for all. Haunting. Magical. Eerie. If I were to condense my thoughts on Fear the Drowning Deep into a few choice words, those would be the three that top my list. I had an idea of what I was getting into after checking out the synopsis, but nothing could have prepared me for this story. The writing is lovely, with just enough flourish in the descriptions and the right amount of simplicity in word choices to form a piece of work that is compelling and easy to fly through. The integration of culture and history and magic is well done, and I’m fascinated particularly by the fantastical mythology that the author tapped on when writing her tale. While I didn’t necessarily find myself 100% invested in these characters, I did quite like reading about Bridey, her family, her friends and their town because it was portrayed so realistically that I felt like I was a part of their community. It does take a little while to get fully interested in this story, particularly because the first few chapters are definitely there to set things up, but it does pay off in the end. All in all, this novel is a great debut from Marsh, and I definitely look forward to seeing what she writes next. 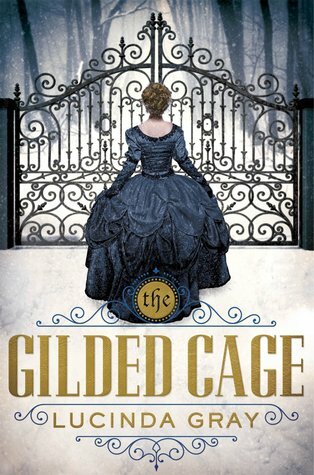 In The Gilded Cage, Katherine Randolph’s life changes completely when she and her brother learn that they are heirs to Walthingham Hall. The transition from Virginia to England is not without its difficulties, but for the most part, it is a wonderful change in fortune… until her brother mysteriously drowns. Though she is told it is an accident, Katherine refuses to accept that explanation and is determined to figure out the truth for herself – even if that means putting herself in a dangerous position. When I first heard of The Gilded Cage, it came across as a historical fiction novel that was steeped in mystery and romance, set against the backdrop of the 1820s. Here’s the thing: it is that. Mystery, as Katherine is determined to investigate the circumstances of her brother’s death. Romance, though I personally didn’t find it to be one that I would absolutely root for. And yet, this novel fell short of my expectations. The plot itself was nothing new, nor was it executed in a particularly refreshing manner. The characters didn’t invite any sort of connection with the reader, dire though their circumstances got. The only thing that really kept me turning the pages at all is that I was mildly curious how the story would end – and it wasn’t particularly noteworthy, if I’m being blunt. In summary, sadly, it was an unimpressive read.